Wayde J. Washburn founded Washburn Consultation Services after frequently seeing the need for organizations having access to a qualified CARF consultant. What does "qualified CARF consultant" mean? Wayde has been a key team member in planning for CARF accreditation for nearly twenty years! In fact, he was with the first community service board in the State of Georgia to become CARF accredited in 1996. He is in his fifteenth year as a CARF Surveyor, serving in roles as program and administrative surveyor. He has surveyed organizations from the Florida Keys to the northernmost reaches of Michigan, from New England to the sunshine of California, from the breath taking regions of Alaska to the sun-swept islands of Hawaii. Usually Wayde serves as the Administrative Surveyor, and working with large teams or he even conducts surveys as the lone surveyor. Wayde is experienced in the field. He is a National Certified Addiction Counselor and worked as a senior executive in a CARF accredited organization for nearly twenty years. He has developed and provided training for professionals working in the treatment field, as well as consulting with various companies. 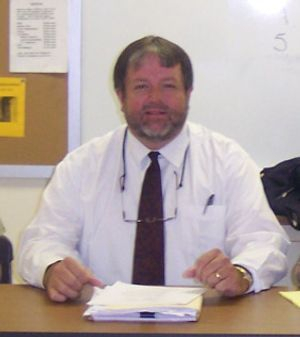 Wayde worked in Human Resources for fourteen years in a community mental health, addictive disease and developmental disabilities organization. For more than ten years, Wayde has been a member of the Society for Human Resource Management and served as legislative chair for the local SHRM chapter for three years, which provided him the opportunity to visit Washington, DC, and participate in Capitol Hill visits with members of Congress. Washburn Consultation Services utilizes a cadre of experienced and qualified personnel to assist organizations in CARF accreditation preparation. Particular persons, selected for your specific needs, are utilized for consulting with your organization for CARF readiness. Each organization will be assessed for the expertise required. If you are seeking accreditation in outpatient treatment services, or employment and community services, or assessment and referral, your organization will receive consultation from a person qualified in the exact area that you need. You could also use this area to display a mission statement, information about your team, awards or certifications, or anything else that will help establish your credibility.